What Are My Business Assets? My name is James Elegante and I clear the pathway to resolving business-to-business or partner conflicts through a fair and balanced legal perspective. And because of my vast international experience and love of language and culture, I have navigated the legal aspects of many international agreements for companies and corporations. While much of my experience has been with multi-million and billion dollar companies both in the U.S. and abroad, I am excited to be able to shift my focus and bring my experience to entrepreneurs who need a trusted advisor and legal counselor to realize their business goals regardless of their location or size. Involving James early-on is a good value proposition. Worked closely with management to transition from a small domestic TV cable operator to a significant international presence. Worked closely with management to Established a company to pursue growth and sustainability opportunities. Provided strategy guidance against a foreign competitor for price-fixing scheme netting a multi-million dollar recovery. Developed and implemented strategy to resolve a commercial conflict with an international manufacturer. Advised on ADA, FMLA, and Title VII, and managed associated employment litigation. He managed an acquisition of over $150,000,000 of a national complex and entire small city in Peru. James speaks five languages which help him bridge the gap between many cultural differences in resolving issues. He is confident in his negotiations for creating lasting agreements and for resolving business disputes. He has experience managing commercial arrangements, establishing company strategies, and solving business disputes. James engages all parties to help everyone come to the same understanding. James is a seasoned lawyer and he is listed as a Distinguished Neutral on the Commercial Roster of the American Arbitration Association. Since 2009, James Elegante has served as our corporate legal counsel to help us navigate through difficult and complex issues. 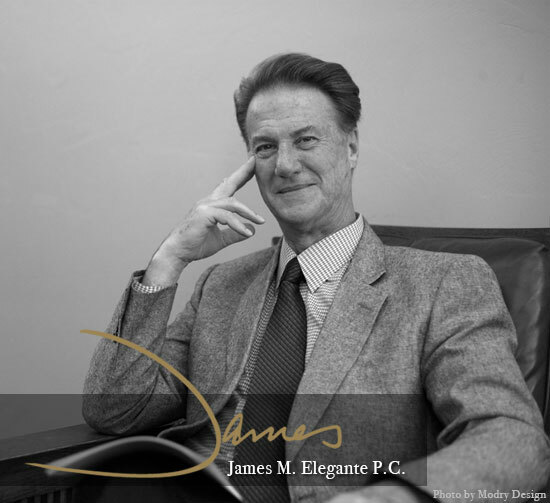 As a company, we rely heavily on quick turnaround advice, guidance, and legal counsel – James provides just that. He understands the complexities we face in a services environment that often spans the globe. He has professionally interfaced with our internal executives as well as client legal representatives and has always encouraged a position of ethics, honesty, and proactivity. He is business savvy and a strong contributor to our success. James is a very brilliant lawyer that puts his deep knowledge of the law at the service of his partners, always aiming to obtain the desired business result. Great personality and culture. A great friend.